We know that going back to school students and parents have more expenses…so to help all of you in this situation, Wordans made a very good promotion to save you money! Get 3 T-shirts for the price of 2! 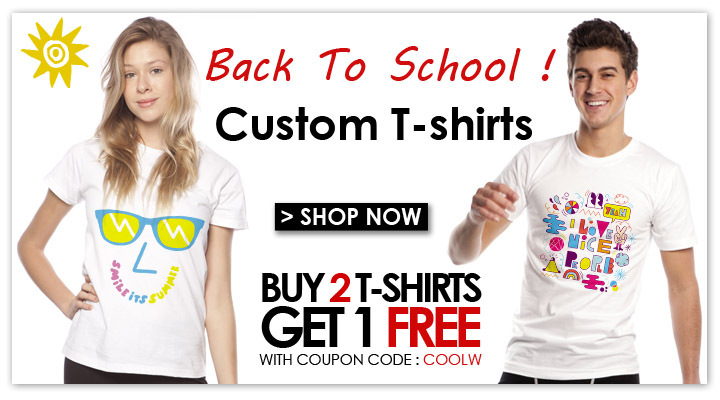 Remembering that wordans t-shirts can be customized online with your own design wherever you prefer to print on your shirtt. Looking for a quick and unique gift for a friend or loved one? A customized Wordans Tee shirt is the perfect solution for your gift giving needs! So don’t waste time. Go there and check it out! Previous Post Very Cool Promotion in our Facebook Page! Next Post Wordans was a Partner on this year Montreal Fashion Week!